A couple weeks ago, we chatted about the most affordable and flexible way to work with a developer. 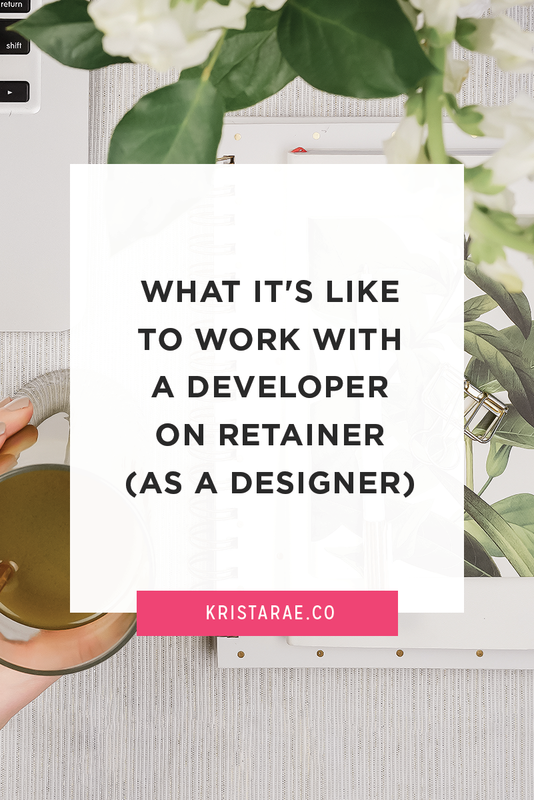 If you checked out that post, you know we ended up talking about working with a developer on a monthly retainer basis. It’s a big step that feels super intimidating when you’re prepping to do it for the first time. To help you get a better idea of what the process looks like from a designer’s point of view, today we’re going to take an inside look at the lovely Amanda’s experience! Her and I have worked together on a retainer basis since the beginning of 2017, so she definitely knows the ins and outs of what to expect. A huge benefit I’ve seen over and over when designers bring on a developer is that their projects start to go more smoothly and don’t run behind as often. Along with that, it’s always nice to be able to spend time on parts of your business you actually enjoy instead of spending hours searching through Google for a piece of code you need. But even with knowing those benefits, there are still a lot of concerns. Along with not really understanding the entire process or knowing if your developer can handle the tasks you’d like to assign, there’s the challenge of handing your mockups off to someone else for the first time. 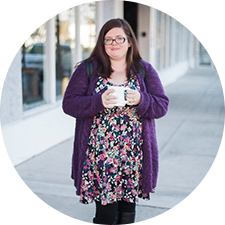 Before working with Krista, I was struggling to get web design projects wrapped up with clients. Usually my web projects take a ton of time. I work very hard to make a site that my clients love, but when I get to the development stage of creating a website, I’m exhausted. I get to that point and realize that now it’s like starting all over again with the project. The coding aspect is fun for me if I’m doing little projects, but when it’s something big like a whole website design I feel extremely overwhelmed with all that needs to be done. When I get to the development stage, I usually want to go and hibernate and come out when everything is finished by some magical fairy that I didn’t even know existed. I had a few fears/concerns before working with Krista. First, I was a little worried about her seeing my mockups! I’d never handed over one of my mockups to a developer before, so I wasn’t sure if she’d hate me for being disorganized or doing it wrong. It turns out that it wasn’t that scary! She loved my design and was excited to get started on the project. I was also worried about the cost, but honestly with the amount of time that it saved me, it was more than worth it. I’ve heard so many designers say that getting to the development stage of a process feels like starting from scratch – and it totally makes sense! 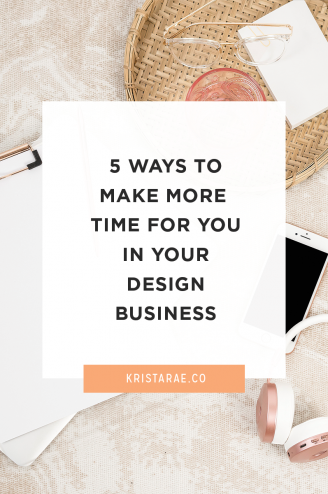 You’ve spent a ton of time and energy on creating a gorgeous brand and design and are once again presented with a blank slate to bring your design to life with. While getting the main structure up and running might not be a huge problem, those final tweaks or more advanced pieces of code tend to take far too much time. That’s where having a developer on retainer can come in handy! The major benefits designers see from bringing a developer are wide-ranging. Some might loooove the fact that they don’t have to worry about getting hung up on a “simple” piece of code, while others simply enjoy the extra time they have to spend on design. Here are a few of Amanda’s favorite parts! 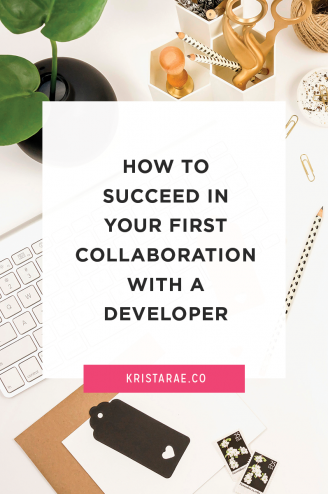 If you’re thinking about your first developer collaboration, do it! Don’t wait. Once you’ve gone through the process, you’ll see that it’s more than worth it. Like many designers, Amanda found that handing development over to a developer allowed her projects to get finished up more quickly and seamlessly. 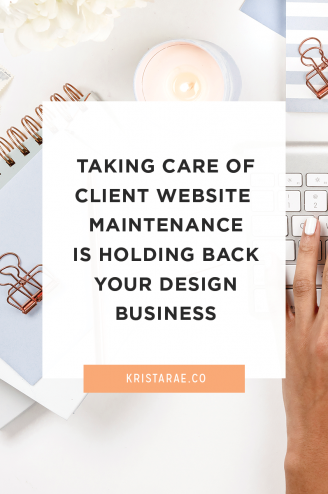 She also has piece of mind knowing that things will be done correctly and that her clients will be able to rely on their websites functioning properly for years to come. 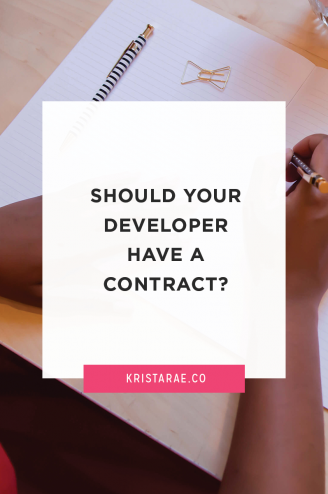 After learning a little about Amanda’s experience, I hope you can see that pushing past some of the fears and hesitations that come with teaming up with a developer for the first time can be more than worth it if you find the right partner. If you’d like to learn more about working together on a retainer basis, head on over here. You’re also more than welcome to reach out through my Contact page with any additional questions! It’s nice to know that the development is going on behind the scenes and that I don’t have to worry about it. It’s great not to feel all this pressure on me. If you’re thinking about working with a developer, do it! Don’t wait. Once you’ve gone through the process, you’ll see that it’s more than worth it. Quiz: Can hiring a developer on retainer make your design business more money?